Journalist pals steeled themselves for a barrage of press releases and e-shots, while my dad’s advice was of a more practical ilk: “You’ll have to lay off the garlic bread now you’re in public relations” he said sagely handing me a half-empty packet of chewing gum. Nobody quite believed that a typical day could consist of making balsa wood planes from business cards one minute and writing a 2,000-word feature about big data and the Internet of Things the next. But that’s the wonderful and varied world of PR for you. Confusion and myth seem to surround our industry like no other. Some imagine PR to be a luxury commodity the first thing businesses ditch when the going gets tough. Others envisage the world of wafting around in Prada heels and an Hermès scarf saying “fabulous darling” a lot and subjecting editors to three-hour liquid lunches (I think we have a certain Eddie and Patsy to thank for that one). We thought it was time we set the record straight and dispel a few of those myths! Many business owners think they will just do their PR themselves “any fool can write a press release right?” Er wrong. There’s a lot more to PR than emailing a few newspapers then sitting back and waiting for customers to beat a path to your door. You wouldn’t buy some new windows for your house then try to fit them yourself you’d hire an expert to do it. And there’s little point in having a great product if you don’t know how to tell the right people about it, you hire a creative and experienced PR agency to handle that for you. Plus if you’re running a business can you really set aside enough time every week to identify target media schedule your tweets and Facebook posts, write a 500-word feature AND identify editorial opportunities for the next three months? Effective PR isn’t something that happens as an afterthought that can be squashed into a 20-minute window on a Friday afternoon. It’s all about creating a brand, communicating effectively, building relationships with the right media and fostering an in-depth knowledge of your sector and the audience you are pitching to. A newspaper or magazine can receive hundreds of press releases a day, so if you are thinking of submitting something it needs to be pretty special. That means relevant to both the publication and its readers; it also means giving it a good title that will stand out in the inbox. In 20-odd years as a journalist I spiked more generic boring irrelevant and downright ridiculous press releases than you can throw a tired old cliché at. Great PR is about understanding your target audience and the media they trust and recognising what makes a good story. Like a good news story a good press release will answer all the right questions, “how, what, where, when and most importantly why” but it also needs to reflect how the news in it will impact on the related industry as a whole. While the scattergun approach of sending out a press release to every journalist you can find might pay occasional dividends (if you’re very lucky) reporters will soon get fed up of receiving irrelevant press releases and will roundly ignore what you send. It’s far better to have a strategy and spend time researching your key target audience. It is also worth forming good relationships with your target media. And I’m talking a well-timed chat on the phone (find out when their deadlines are and avoid them like the plague) as opposed to long boozy lunches nobody has time for that today least of all stressed-out journalists. As the old adage goes you can’t polish the proverbial you-know-what but you can roll it in glitter. Well, you can but only if you want to end up covered in glue and other unmentionable substances. No amount of PR will convince people something is a good idea if it really just isn’t. Actually, PR is about changing how people feel about a product or service. It’s about generating a good reputation and positive public image through editorial coverage be that through newspapers and magazines or social media and blogs. PR generates credibility which makes it easier for your salespeople when they are talking to people about your product, it won’t, however, replace your entire sales team. Even the best press coverage can’t guarantee sales will soar overnight. But communicating your client’s message to the right audience will increase awareness over time long after any advertising campaigns have stopped running. Cheesy stunts might grab the headlines in the short-term but will anyone remember your brand tomorrow much less associate it with quality and reliability? It’s imperative that people are talking about you for the right reasons and it’s only human nature for monumental gaffes to live on in the memory long after the brand has gone. More than 25 years on people still remember the Gerald Ratner’s infamous comment that one of his jewellery chain’s products was total crap. More recently one well-known doughnut firm epically failed to win friends and influence people when it changed the spelling of a club and introduced the half-term Krispy Kremes Klub, or KKK for short. Cue digitally enhanced pictures of white supremacists tucking into glazed sweet treats appearing all over the internet. Yes, PR does differ from paid advertising. But putting together a carefully thought-out brand strategy takes time and effort and can incur other costs such as professional photography printing and event planning. It does on the other hand offer great value for money. People take more notice of editorial than ads and trust stories more than paid-for adverts. 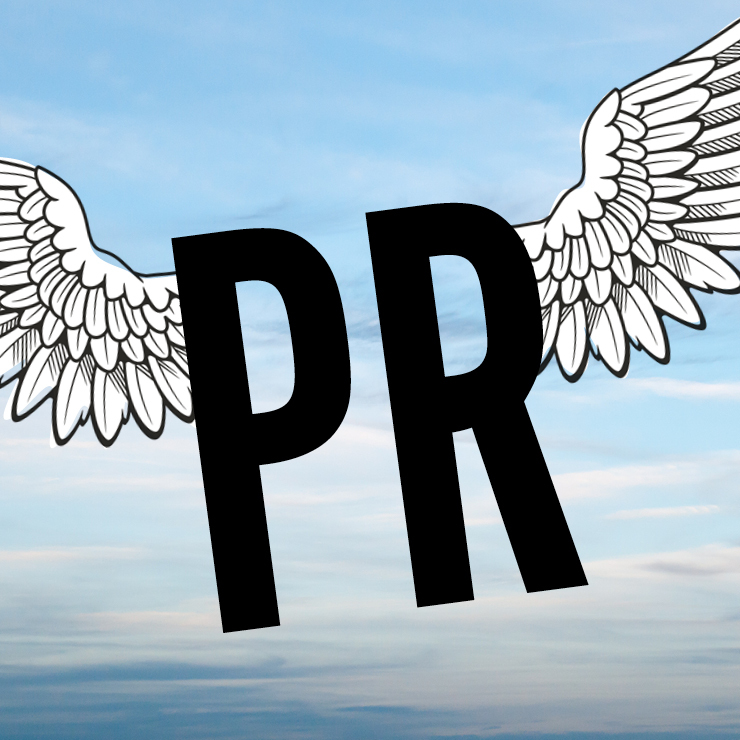 PR is one of those services where you really do get what you pay for and where a good investment is worth every penny. It will create visibility and credibility long after the advertising campaigns have stopped running.